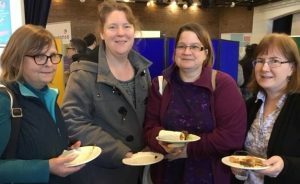 We had a fantastic day celebrating Cambridgeshire parent carers at our 2018 conference on February 1. Thank you to everyone who made the day such a success. Our chief executive officer Sarah – who joined Pinpoint in October last year – spelled out our plans for the next 12 months at the conference. Our annual awards are always a highlight of our conference day. This year, we presented two Parent Participation Awards and four parent-nominated awards. 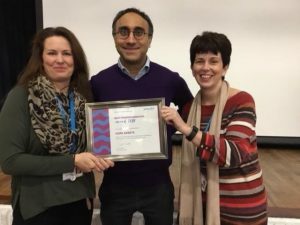 Handing them over this year was Mrunal Sisodia, co-chair of the National Network of Parent Carer Forums (NNPCF), of which Pinpoint is a member. 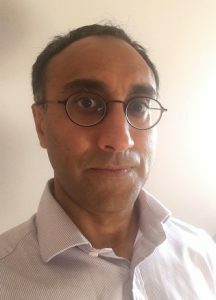 Mrunal, who is part of Bedford Borough Parent Carer Forum, is Dad to two children, Arun and Meric. Arun was born very prematurely and has cerebral palsy, autism – as well as an insatiable lust for life. Mrunal told parents: ” You are not alone. There are groups like Pinpoint up and down the country that are here to represent your voice and share your views with people who make decisions, set policy and laws. 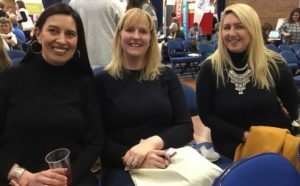 The NNPCF was recently one of the first organisations to meet the newly-appointed Children and Families Minister Nadhim Zahawi and was able to talk to him about recognition and support for parent carers in the UK. 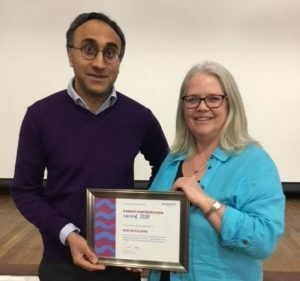 Pinpoint volunteer Sue has got involved in a big variety of projects with Pinpoint this year – from developing its new website to talking to the University of East Anglia about developing training for future educational psychologists. She’s makes a fantastic contribution in lots of ways and is also part of the brilliant support crew at the conference. 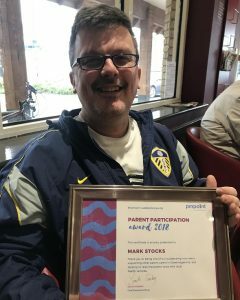 Pinpoint first met Mark when he came to our group in Huntingdon supporting parents of children and young people who self harm. By his own admission, he and his son Ryan have been on a huge journey. 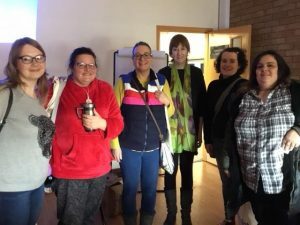 After giving up his career as a carer to young people with learning disabilities, he’s now back to helping other families – running his own support group Listen in Huntingdon. Fantastic support to parents and carers of children with additional needs, disabilities and life-limiting illnesses. Our 2018 winner has represented parents in a variety of ways this year – and her knowledge and insight of SEN issues will be well known to lots of you in the audience. Liz was not able to attend our event this year but we will be passing on our award in person very soon. 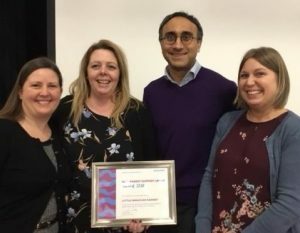 The team provides Independent Support to families in Cambridgeshire – offering impartial information, help and support to those going through the EHCP and SEND assessment process. 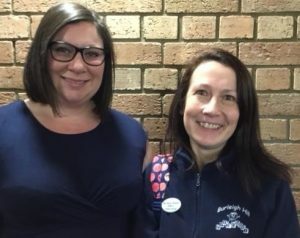 Jayne has dedicated huge time, effort and energy to supporting not just her own family – Alex, Daniel and Meghan – but to hundreds of SEND families across Fenland. 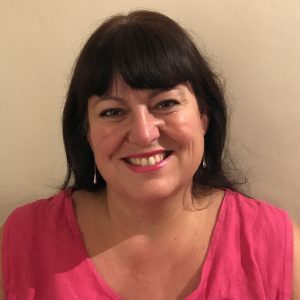 She founded and has been the driving force behind Welcome 2 Our World a charity providing help, information, company and fun activities for so many families in and around Wisbech and beyond. help overcome challenges such as social exclusion and isolation along the way. 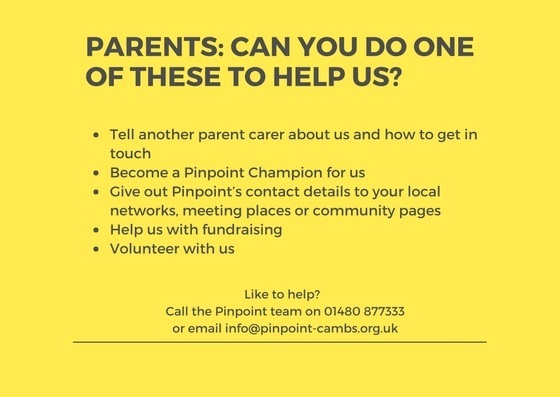 Pinpoint has also had the good fortune to have worked with Jayne on numerous projects in recent years – flying the flag for parent carers in Cambridgeshire and improving services for our families. 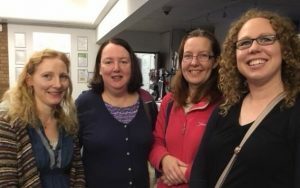 Sadly Jayne was not able to attend and receive her award in person but her friends Alice and Grainne accepted it on her behalf. 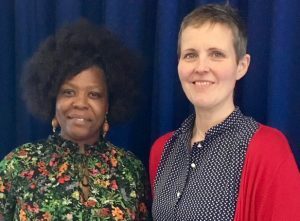 Our fabulous guest speakers Bill and Elspeth Jones gave a wonderful presentation – with some top tips for parents on how to help their young people. 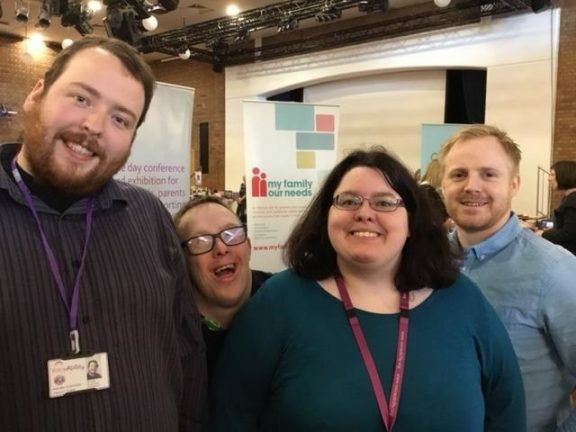 The twins, leaders with Cambridgeshire Speak Out Council which represents young people aged 14+ with autism and learning disabilities, talked about their upbringing, their growing independence and their interests. As well as the support they’d received from their parents and grandparents. Bill built a PC from scratch and Lego models of over 1000 pieces. Elspeth has a BS with honours in computing and learned how to look after a dog – their much-loved lurcher Max. They also gave the conference audience some interesting ideas on things to try at home. Elspeth and Bill are pictured here with Neil and Christian on the VoicAbility stand at the conference.